Rise of the Tomb Raider | Binary Messiah - Reviews for Games, Books, Gadgets and more! 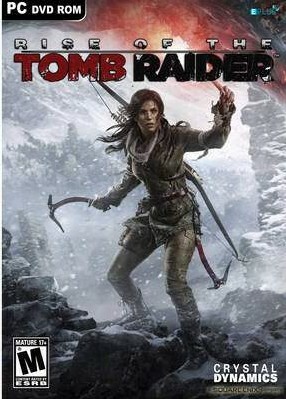 Tomb Raider (2012) was a revolutionary game for the franchise and genre as a whole. It took the game industry by storm with its cinematic gameplay, fantastic visuals, huge open world, and realism. What could Crystal Dynamics do to top this you ask? It’s pretty hard to top that and they didn’t quite top it this time around. 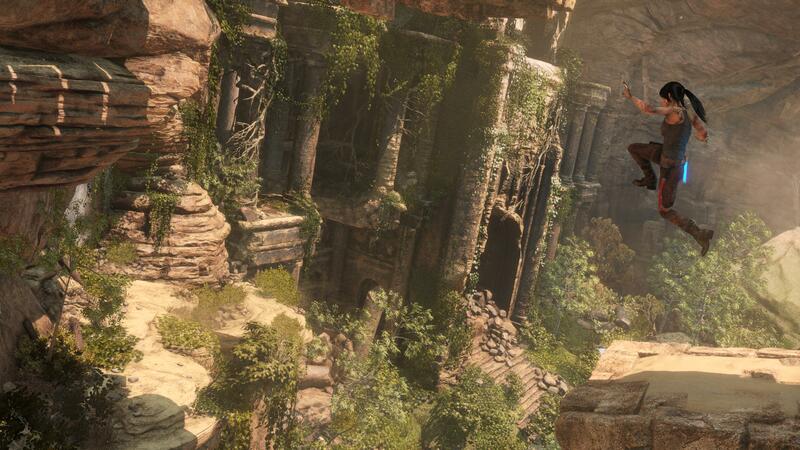 Rise of the Tomb Raider is more of what we got before and not much else but that’s not a bad thing. 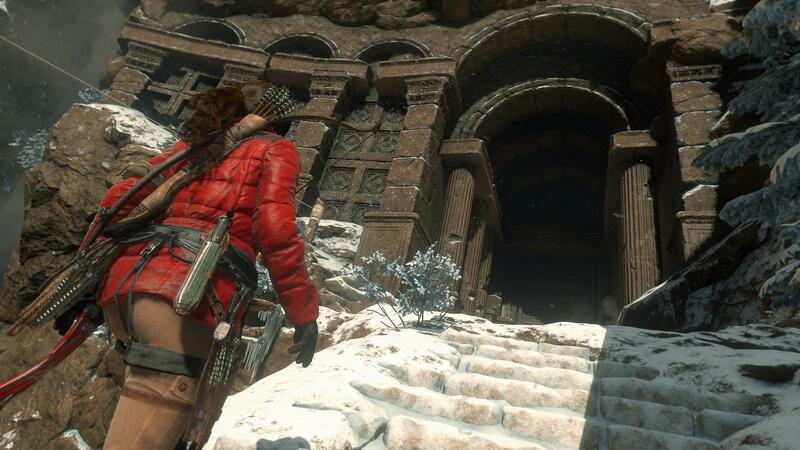 The game doesn’t focus so much on Lara’s survival to get back home but more on her treasure hunting. There’s an item called the Divine Source that grants people immortality. It’s something that her father obsessed on and ultimately got him killed. A mercenary group called Trinity wants this source so it’s Lara’s job to go and retrieve it before anyone gets their hands on it. The story is a little predictable and cheesy. It’s the typical generic mercenary bad guy plot which I found uninteresting as Lara’s character development was the center of the story in the last game. It’s disappointing, but entertaining nonetheless. The opening scene in RotTR is fantastic set in Tibet where you get to feel just how dangerous Lara’s treks are and the environment around you. It’s probably the best scene in the whole game as the developers slowly forgot what made Tomb Raider…Tomb Raider towards the end of the game like they were running out of ideas. You will notice right away the huge visual upgrade over the last game. Fantastic lighting effects, tessellation, gorgeous textures, and the character modeling is some of the best I have ever seen. The individual pores can be seen on Lara’s face which is 10x more detail than the last game. After the opening scene I realize not too much has changed from the last game control wise and the gameplay elements are nearly untouched just fine tuned. After I start trekking along in the first area I divert by exploring and finding all the hidden stuff. TR has a lot of hidden secrets to find and it’s all about using your Instincts around you to find all the secrets that glow gold and finding the maps to reveal them on your map. I spent a majority of the game finding these secrets which are a blast to find however there’s a Metroidvania feeling to this game. I had to acquire new equipment before I could enter certain areas especially the tombs. While just playing the game in general I realized a few disappointing things about this game. Leveling up completely, upgrading all your guns, just like in the last game, means less this time around. The game is fairly easy, the mix between exploration, combat, and stealth are very random and spread out. I could honestly play the entire game with the pistol and I would be fine. The last game had enemies that required different weapons, but this time around Crystal didn’t think about that. All the enemies are generic and there’s no need to switch weapons. This is a huge blow to the games strategy that was so great in the last game. Ultimately this meant that all the side quests, gathering, and exploring could ultimately be skipped and it wouldn’t make a difference. That’s a really bad thing here. Thankfully all the gameplay holds up to redeem this issue. Mainly this is here for completionists or anyone who wants to explore this gorgeous world. I think the developers forgot what was so great about TR between development cycles and it really shows here. The world was focused on so much that the stuff to fill it was pretty much forgotten. I have all these awesome weapons and upgrades, but…what do I do with them? I can craft special ammo for each weapon, but it didn’t make a lick of a difference in combat. The only ammo that did was the new arrow types such as poison, explosive, and flame. Using them to take out a large group of enemies helped but that was it. Lara also doesn’t really develop more in this game. I thought the psychological stress on her from the last game would affect her here, but it’s like it never happened at all. Her character is awesome as usual, but there’s no more development and I feel the next game really needs to pick up on what made the first one so great. Franchise fatigue is going to set in quick here and many players may not be so excited for the next game if this keeps up. 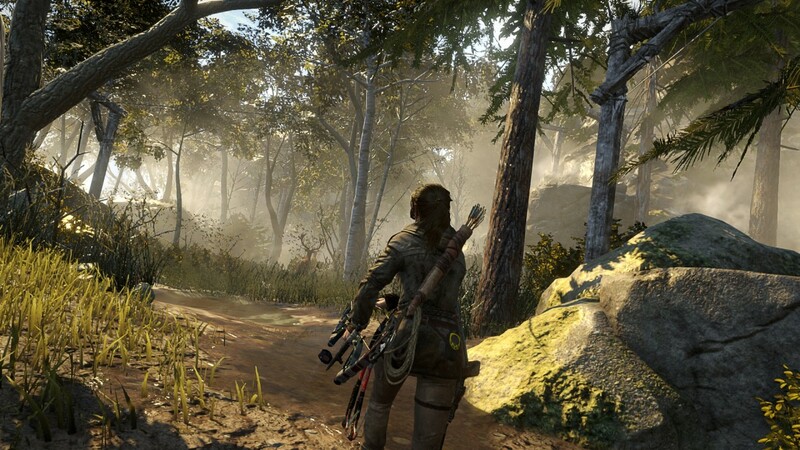 In the end, RotTR is a fantastic game with a huge world to explore, a generic yet entertaining story, and more Lara Croft which is what we want. The biggest disappointment is there’s no more character development for Lara and all these great upgrades and weapons feel useless due to the combat and enemies that didn’t get any attention. The game is really easy and lacks a good challenge. The game is gorgeous, one of the best looking games ever made and continues to push PCs to their limits just like back in 2012.